In the late nineties when we were making regular picking trips to Quebec, we would sometimes combine work with pleasure, and take an extra day or two to go exploring after making the rounds of the regular picking barns. 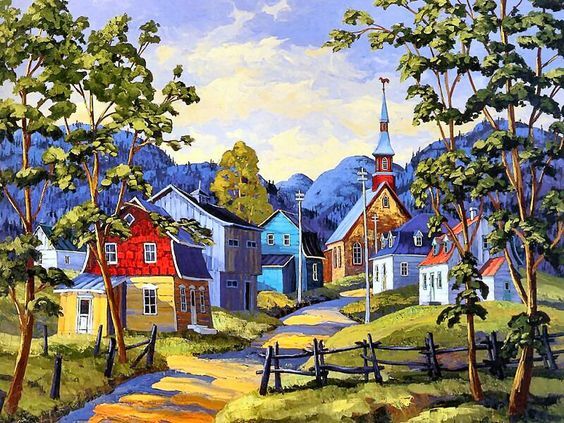 It was on one such trip in mid-summer when we had finished combing the barns around Victoriaville, that we headed up route 183 on the North Shore past Quebec city, to the Charlevoix region, and the town of La Malbaie. Champlain named this place La Malbaie, or “the Bad Bay” when his ship got stuck in the harbour, but it was known locally as Murray’s bay for years until 1967 brought a new awareness and emphasis on preserving our history. Whatever you choose to call it, it is a beautiful and magical region of large rolling hills leading down to the mighty St. Lawrence river. The wilderness is dotted with tiny, quaint villages made famous in paintings by Clarence Alphonse Gagnon, Marc Aurele Fortin and A.Y. Jackson, to name a few. 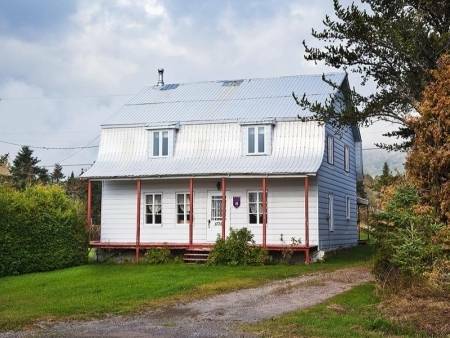 It has retained much of its early, rustic charm because the region was not easily accessible until the early sixties when the Quebec Government built the big highway, route 183. However it has been a summer playground for the rich, both Canadian and American since the early 1900’s because its untouched natural beauty was accessible by boat along the St. Lawrence. For this reason, you still find many impressive estates, and the magnificent Manoir Richelieu, established in 1899, with the current building being built in the style of a French Chateau in 1929. 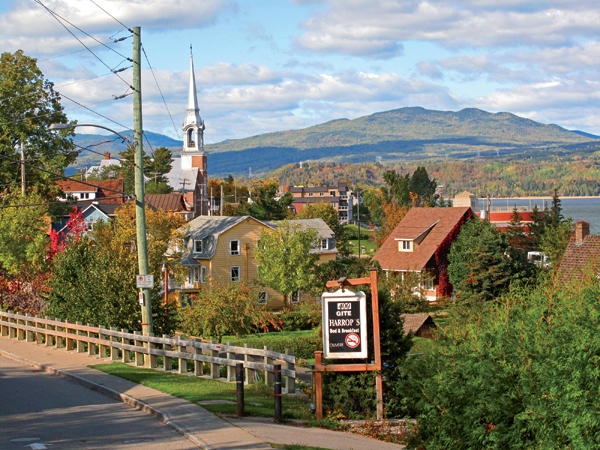 It’s a wonderful region to explore, and only a two hour drive from Quebec city. So on this occasion after a full day of enjoying the region we settled on a small strip motel along the river in town, which looked clean and inexpensive. We had a great meal at the small, attached restaurant and settled in for a good night’s sleep. In the morning, we had breakfast and set about packing up to leave. I was putting the cases in the truck when a pleasant looking middle aged man approached me. “So I can see from your truck that you an antique picker. Would you be interested in looking at some things I have for sale?” I was a little taken aback as I was thinking about getting on the road, but answered “Well that’s what I’m here for so sure, what are we talking about.” He explained that the antiques were not at the motel, but in a barn on the family farm, about a half hour drive away. As it happened they had just sold the farm which had been in the family for years, and before the deal closed in a month’s time they had to clear a barn where they had stored the contents of their grandfather’s museum when it closed in the mid-sixties. Their grandfather had run a private museum in an old fishing boat which had been dragged up on shore along the river. The kind of place you pay a quarter to go through. When they needed the land to build the new highway, he had to close, and at the time just moved everything, lock, stock and barrel to the barn on the family farm. It had remained there untouched. He explained that his grandfather was an eccentric who collected and displayed everything he could get his hands on, so that not everything in the barn could be considered a valuable antique. There is a bit of everything there, furniture, farm implements, old signs, bottles, eyeglasses, furnishings, you name it. Although the time frame seemed ominous, I was curious so we agreed to go and have a look. What harm could it do. We followed him up and down the twisting country road, until finally reaching a charming, old Habitant farm house and barn looking out over a picture perfect valley. We drove straight up to the barn. It was not a large barn, but when we opened the door we could see that it was packed from wall to wall with every sort of thing. So packed that there was no possibility of entering without hours of shifting large cupboards and the like. And dark. As our eyes adjusted we could see about a dozen large armoires absolutely overflowing with objects. The whole space was chock a block with everything you could imagine. We spotted several old bicycles, one being a tandem. Lots of books and paintings. Right away I spotted several nice old signs, both commercial on tin, and hand painted on wood. There were quite a few cash registers, dressers, tables, and six glass store display cases. There were benches and beds, and dozens of cardboard boxes filled with God knows what. . I could see that four or five of the armoires were really nice, and it seemed he was making an honest appraisal when he suggested that about 80% of it was good but not extraordinary, but that there was some very good things in there as well. As he spoke I scanned the room and made a mental note of everything I could see. “So here’s the deal. I want $20,000 for it all with the condition being that the barn must be cleared of everything by the sale date. When you have everything you want, I know a couple of scrap dealers who will come and scoop up anything that is left, especially metal. There has to be about forty cash registers in there, and a lot of them are newer and nothing special, not to mention heavy so I doubt you will want to take them.” I stood there in the sunshine, looking out over that beautiful valley and thought “this is a tough one. It would seem the value is there, but it is a hell of a lot of work, and this place is a long, long way from home.” Jeanine looked over at me and shrugged. “ O.K.”I said, “it’s a lot to take in. We are interested, but we need a little time to think about it. Give me your number and I will call you back within 48 hours with an answer.” He agreed and gave us 48 hours. We then left after saying our goodbyes, turned west and headed towards home. We didn’t talk about it until we had travelled for a couple of hours and stopped for a bit of lunch at a roadside food truck. When in Quebec I always have to get my poutine and “vapeur” fix. A “vapeur” being a steamed hotdog in one of those funny Quebec buns. As we sat there at a picnic table looking out over the St. Lawrence towards Ile d’Orleans we finally got around to discussing the elephant in the room. I started, “So, I’ve been thinking a lot about it, and we have to recognize that it is a rare opportunity to buy so much from one source. Also, from what I could see there is easily $20,000 value, but how much more I’m not sure, and it is definitely a lot of work and expense getting it all back home. Not to mention we only have a month to accomplish it.”. Jeanine agreed and added “well let’s make a list of everything we could see, and assign what we would think to be a low retail value, and go from there.” We did this and determined that of what we could see, there was about $35,000 worth. Of course we also recognized that what we could see was just scratching the surface of what there was in total. We drove a few hundred more miles and then Jeanine said “I think we should offer him $15,000, and if we get it fine. If he says no then let’s just pretend it didn’t happen.” I agreed. It was obvious he was under pressure to find someone fast and if we were going to take it on, we had to be sure it was worth all the trouble. Jeanine phoned him right away on the cell, her French being so much better than mine, and I was surprised to hear her offer what sounded to me like $10,000. Then there was a pause, and she gave me a big smile and thumbs up . A moment later she was concluding the conversation by saying, “O.K. it’s a deal and we will be in touch when we got home to arrange the details.” I looked at her and laughed. “Am I correct that you made a snap decision there to offer him $10,000, and he agreed?” “Yes, well I was going to say $15,000 but then I started thinking it’s typical in Quebec to ask twice what you really want because everyone negotiates so fiercely, and $10,000 just came out of my mouth. He jumped at it.” Good work Jeanine. Now we just have to go home and figure out what we’ve gotten ourselves into. 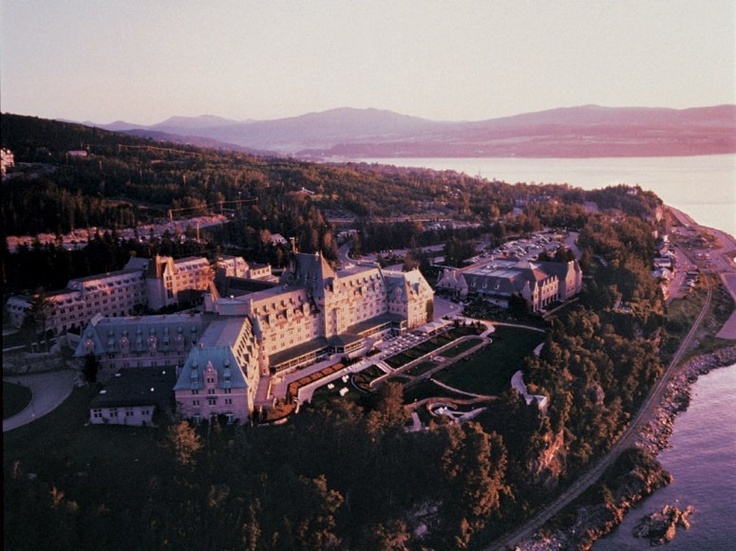 Next week – Bringing it back from La Malbaie. 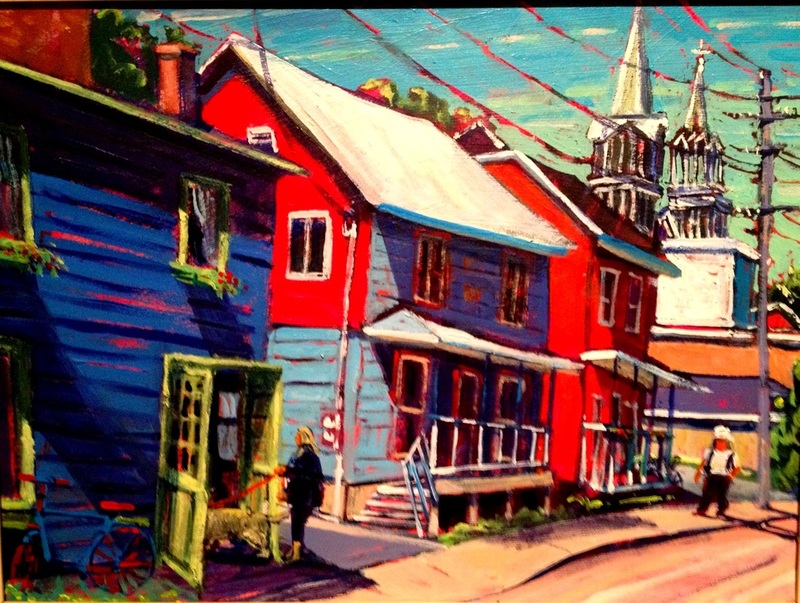 This entry was posted in "Picking" stories, Buying Collections, Canadian Antiques, Canadian folk artists, Quebec folk art and tagged antique picker's stories, Champlain, Charlevoix, la Malbaie, Quebec, victoriaville quebec by shadflyguy. Bookmark the permalink. What an adventure! I wish I could’ve been there, to see the inside of that barn when you opened it up! Me too. We could have used an extra pair of eyes.